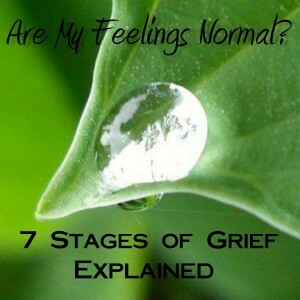 We are pleased to share this article about the 7 Stages of Grief. Many people appear to be confused when trying to understand if the feelings they experience or normal during grief and recovery. We hope this will help to explain the grieving process. Please note that this is just a guideline and everyone grieves in their own way. We will be exploring each step, in more depth, through this blog during the upcoming week. We also look forward to sharing this same principles, yet from a Christian’s perspective. How does God help those grieving? If you have any comments or grieving strategies you would like to share, please feel free to comment. Your suggestions could truly help someone!